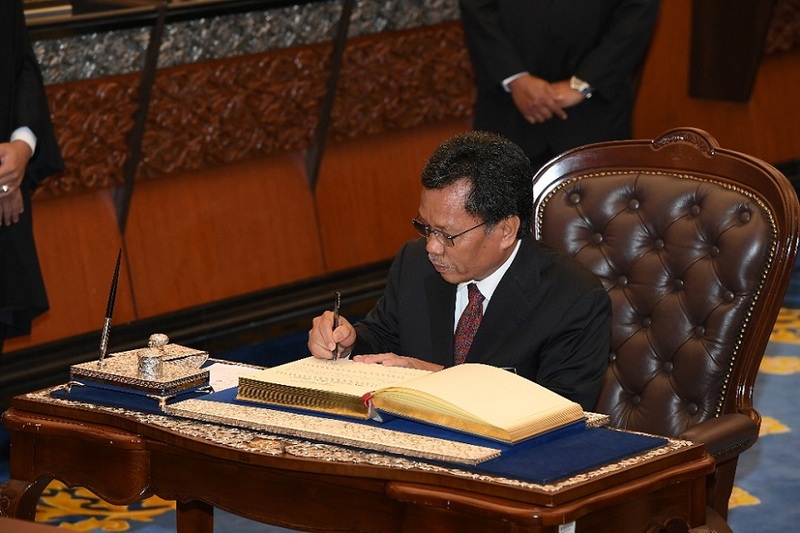 Sabah Chief Minister, Datuk Seri Panglima Haji Mohd Shafie Apdal after he took his oath of office at Parliament on Monday, but Sipitang MP Hafez Musa was not present. KUALA LUMPUR: Sipitang MP, Hafez Musa, was one of two elected representatives who did not take his oath of office in the Dewan Rakyat at the first day’s sitting of the first meeting of the first session of the 14th Parliament Monday. The first term parliamentarian who is the son of Musa Aman, the former Sabah chief minister, who incidentally has yet to take his oath of office at the Sabah State Assembly, was missing when some 220 out of the 222 MPs took their oath before the new Speaker. Also absent was Tan Sri Muhyiddin Yassin, the Pagoh MP and president of Parti Pribumi Bersatu Malaysia (PPBM) who is on medical leave, recuperating after having undergone surgery to remove a pancreatic tumour. 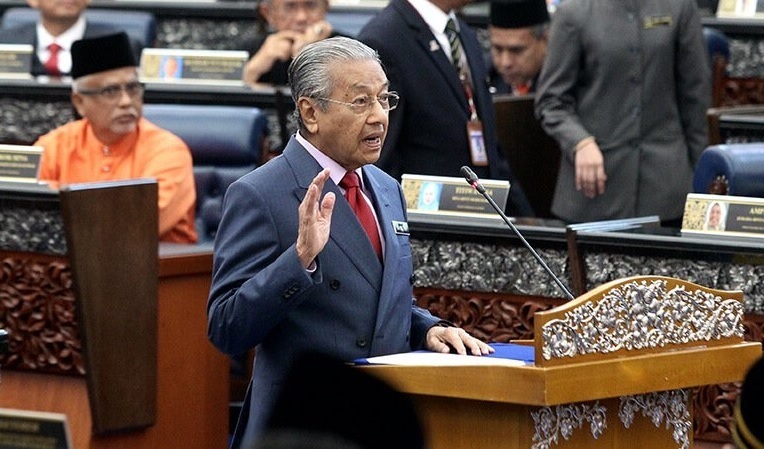 Prime Minister and Langkawi MP Tun Dr Mahathir Mohamad, who is the Leader of the House, was the first to take the oath of office. The statesman has made a historic return to Parliament after 15 years in retirement. Then, Deputy Prime Minister Datuk Seri Dr Wan Azizah Wan Ismail, who is Pandan MP, took her oath, followed by the Cabinet ministers, deputy ministers, other Pakatan Harapan (PH) MPs, the opposition MPs, MPs from Sabah and Sarawak and the Independent MPs. All eyes are bound to be on the proceedings of the 14th Parliament because, for the first time in the history of the country, there has been a transition of power to Pakatan Harapan (PH) from the Barisan Nasional (BN), which had ruled the nation for 61 years. Tun Mahathir makes a second return to Parliament after leading PH-Warisan to victory in GE14. PH, led by Dr Mahathir, formed the federal government after winning the 14th general election on May 9, securing 116 parliamentary seats to defeat the BN. PH comprises PPBM, PKR, DAP and Amanah. Parti Warisan Sabah, with eight parliamentary seats won at GE14, has stated its support for PH to raise the number of seats to 124. 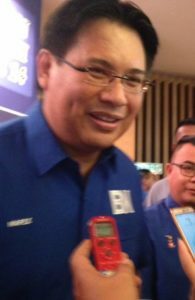 Gabungan Parti Sarawak (GPS), with 19 parliamentary seats, has said it is friendly to the BN. Earlier Monday, retired Court of Appeal judge Datuk Mohamad Ariff Md Yusof, 69, was elected and took his oath of office as the new Speaker of the Dewan Rakyat. 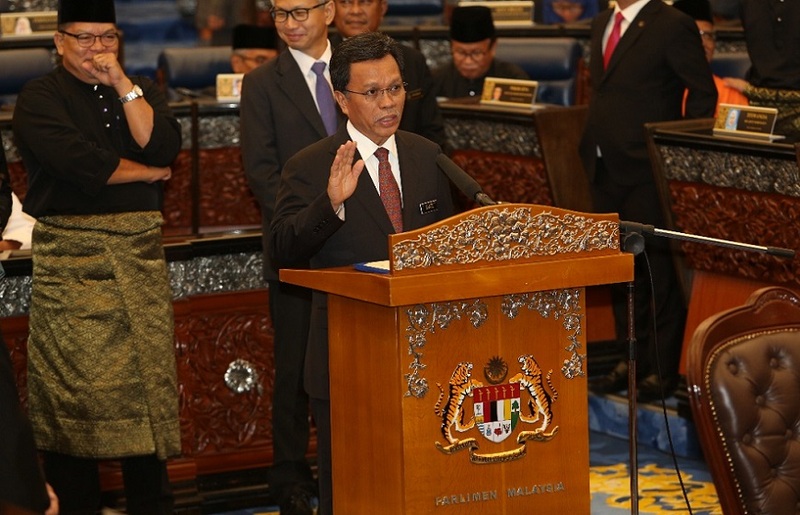 Shafie Apdal takes his oath of office at Parliament on Monday. Datuk Mohd Rashid Hasnon (PH-Batu Pahat) and Nga Kor Ming (PH-Teluk Intan) were elected as the new deputy speakers. The Yang di-Pertuan Agong, Sultan Muhammad V, is scheduled to simultaneously open the Dewan Rakyat and Dewan Negara meetings today (Tuesday). The Dewan Rakyat will sit for 20 days until Aug 16, and the Dewan Negara for 15 days, from Aug 20 to Sept 12.